Alberta snapshot: Mount Black Prince and Warspite Lake. Mount Black Prince with Warspite Lake in foreground, Kananaskis Country – snowshoe trek on 6 February 2016. Venturing across the lake would have been too risky due to avalanches. 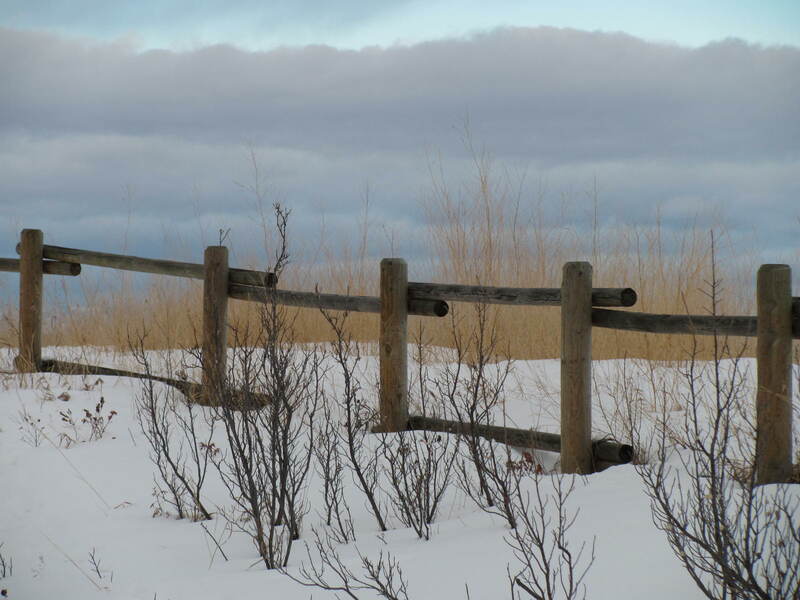 Alberta snapshot: Along The Cowboy Trail. 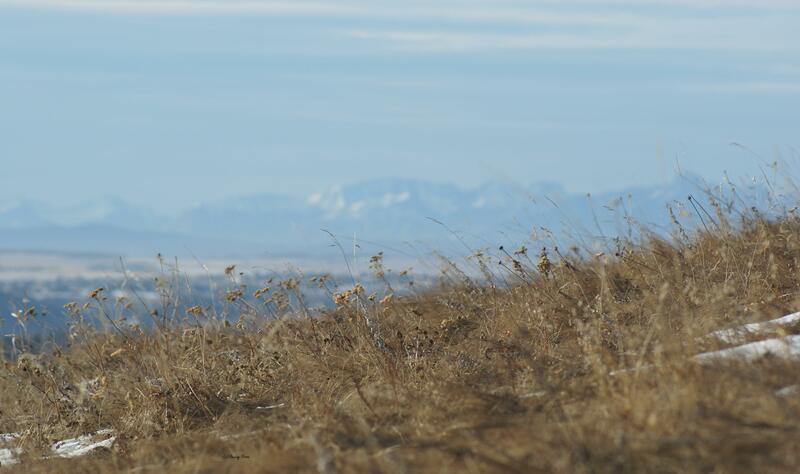 The ranch lands in the foothills of the Rockies have been repeatedly Chinook-scoured – you won’t find much snow out here right now! I took these photos on January 30, just east of Chain Lakes, where my hubby, brother, and I had spent a few hours ice fishing. *If you’re interested, here’s the Cowboy Trail route information. It’s a very scenic (if a bit meandering) 700 kilometer drive partway across the province. We’ve traveled it on numerous occasions, albeit not the whole thing all at once. 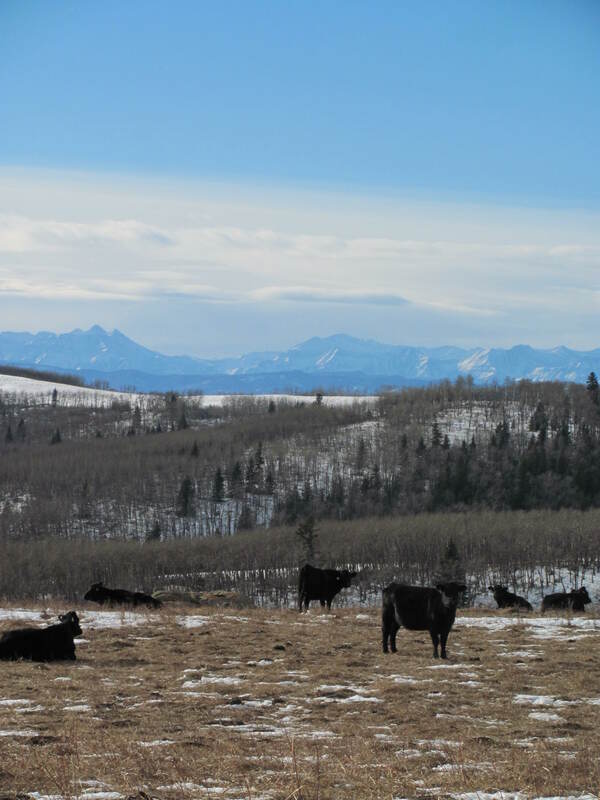 Alberta snapshot: Cattle at Cross Conservation Area. Bowmont Natural Area, Calgary, Alberta. Photographed 2 January 2014. (If this post (pun intended) looks familiar to you, you may be subscribed to my blog There is a Light, which I will shutter within the next little while. Sadly, I’ve been very lax with posting new content there…and I think there is an overlap with Flowery Prose now, anyway. I plan to move all of the photos from TIAL over to FP within the next few weeks, so I apologize in advance if these posts are “reblogs” for a few readers). What a fabulous start to the week! 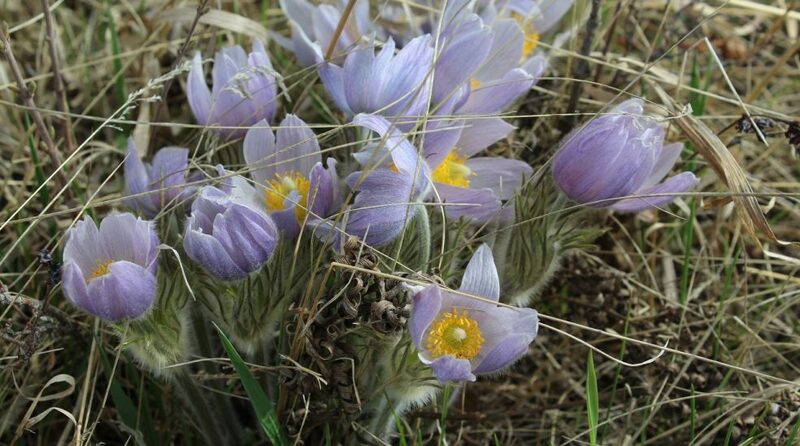 We’ve had such a marvellous break in the weather in southern Alberta these past couple of days – a far cry from the wind and snowstorms of last week. Although we’re not technically under the influence of a Chinook, the bright sunshine and balmy temperatures have gobbled up the snow and I came back from my walk on Nose Hill this afternoon with my boots caked in mud. It felt positively spring-like! What have you got going on this week? Any fun plans or new projects?